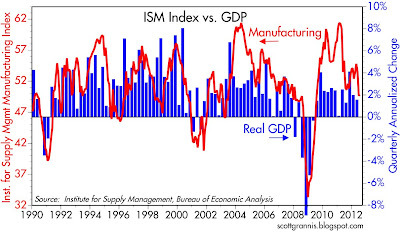 The ISM manufacturing index for July came in about as expected, and it doesn't change what we already knew: the economy is in a "slow patch" with growth likely to be between 1 and 2%, as the above chart suggests. However, there is still no sign in this indicator of a recession, and that ends up being a mild positive in my view, given how bearish the market is (e.g., 1.5% 10-yr yields). The ADP estimate of the change in private sector employment in July was somewhat stronger than expected (163K vs. 120K), but of course this is still a fairly weak number. However, based on the above chart, the ADP number is pointing to a stronger-than-expected payroll report this Friday. The market is expecting only 110K private sector jobs to be found in Friday's release—if it came in at or above 160K that would probably be a welcome and positive surprise for the market. 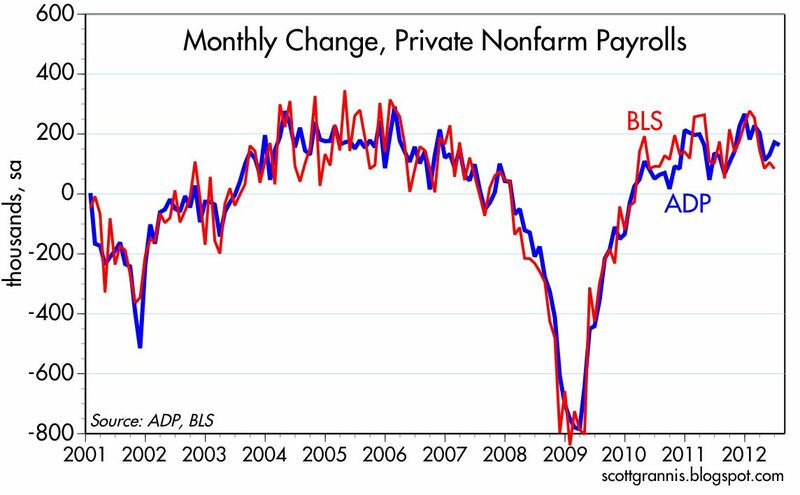 This chart from last month gives yet another reason to expect a stronger-than-expected payroll report. 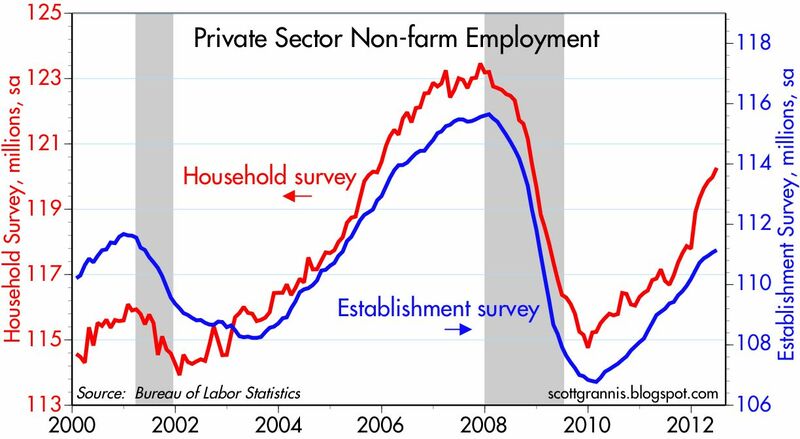 What stands out is the very strong gains in private sector employment that have been found in the household survey so far this year, especially when compared to the fairly weak numbers we have seen in the establishment survey. 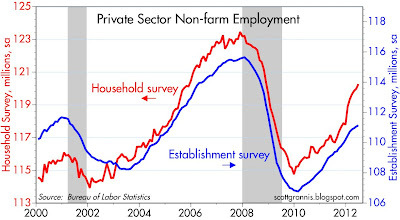 It may be time for the establishment survey to "catch up" to the household survey. 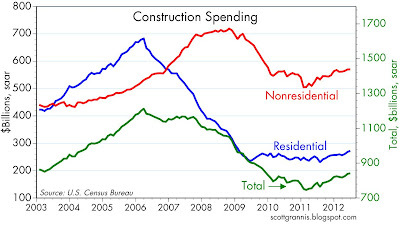 Construction spending in June came in about as expected, and it extends the upturn in the sector which began early last year. 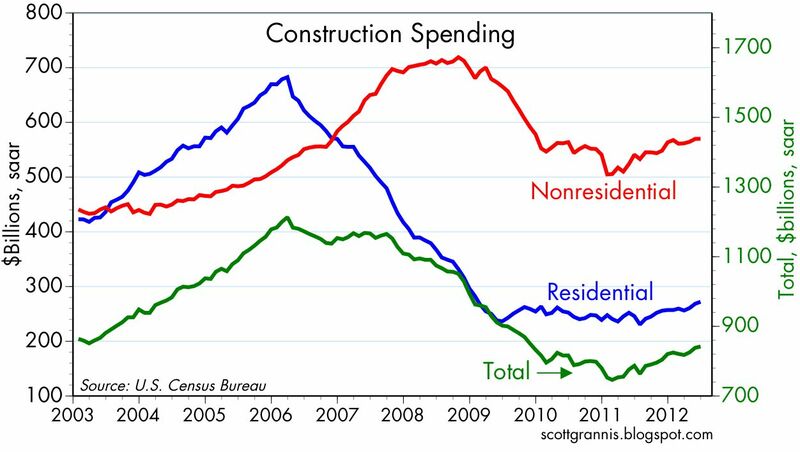 Total construction spending is up about 13% from last year's low. That's encouraging on the margin, but nothing to write home about. 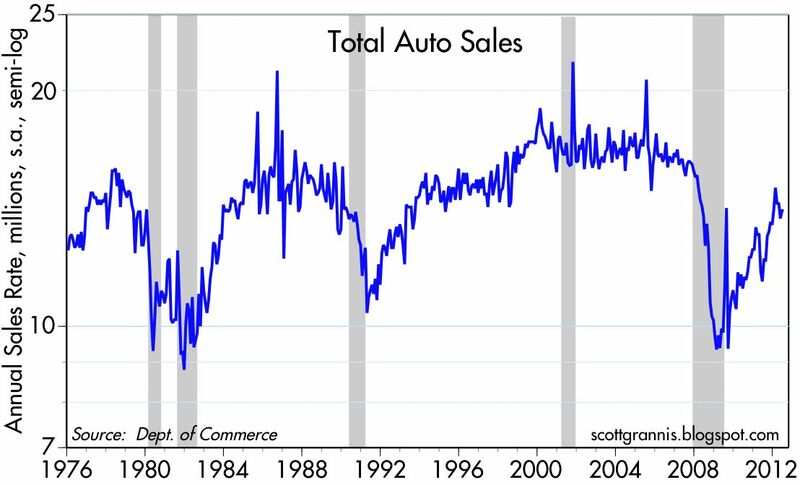 UPDATE: July auto sales were ever so slightly higher than expectations (14.05M vs. 14.0M), but this is a rounding error in a series in which monthly sales are annualized and seasonally adjusted. 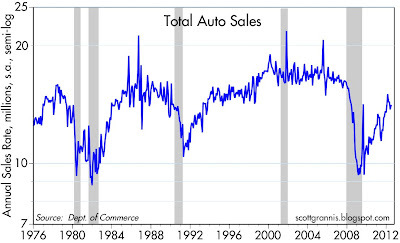 All we know is that the uptrend in sales, which began over three years ago, appears to remain intact: since the early 2009 low, sales are up 50%, and over the past year, sales are up 15%. Both are rather impressive figures. Autodata is reporting July auto sales at 14.09 million SAAR. They've also got completely new seasonal adjustments - last month was 14.38 instead of the 14.1 originally reported. On the other hand, February was cranked down from 15 to 14.5. Both March and April were knocked down as well, I think. Regardless of the seasonal adjustment changes, looks to be a good-enough number to signal a decent jobs report Friday, coupled with recent ADP reports and withholding tax increases. "The primary magic potion that policymakers have always applied in such a predicament is to inflate their way out of the corner. The easiest way to produce 7–8% yields for bonds over the next 30 years is to inflate them as quickly as possible to 7–8%! Woe to the holder of long-term bonds in the process! Similarly for stocks because they fare poorly as well in inflationary periods. Yet if profits can be reflated to 5–10% annual growth rates, if the U.S. economy can grow nominally at 6–7% as it did in the 70s and 80s, then America’s and indeed the global economy’s liabilities can be “reflated” away. The problem with all of that of course is that inflation doesn’t create real wealth and it doesn’t fairly distribute its pain and benefits to labor/government/or corporate interests. Unfair though it may be, an investor should continue to expect an attempted inflationary solution in almost all developed economies over the next few years and even decades. Financial repression, QEs of all sorts and sizes, and even negative nominal interest rates now experienced in Switzerland and five other Euroland countries may dominate the timescape. The cult of equity may be dying, but the cult of inflation may only have just begun. I am impressed that on a Wednesday so many are willing to stick their necks out and predict the jobs report for Friday. I think what the European Central Bank does could move the markets more. The USA economy continues to perform like it is being suffocated by tight money, and structural impediments, such as restrictive immigration policies, rural subsidies, and a $1 trillion-a-year parasitic Defense-VA-Homeland Security complex. 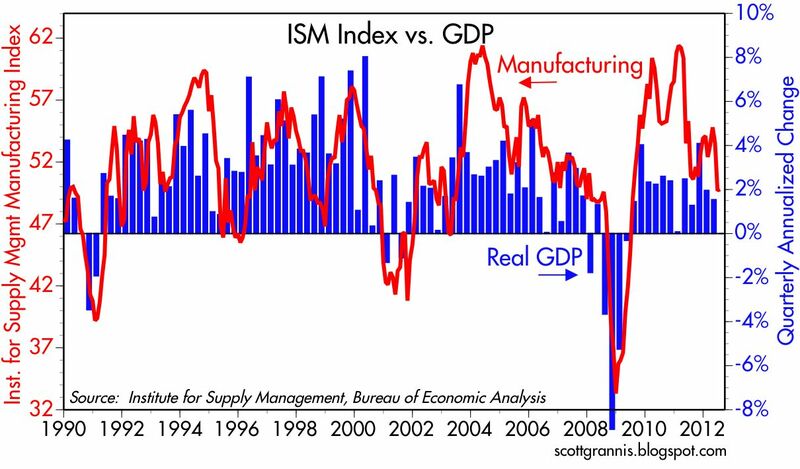 The GOP says it is pro-business,and the D-Party likes to bash business, but really--when it come to promoting growth--which devil is better to dance with? I liked Ron Paul., but he always loses, and was a gold nut. From one of the wires. When did the right-wing come to despise prosperity? The truly smartest thing the FED and US Treasury could do about the massive US Debt is to sucker as many investors as possible into buying extremely low yielding US Treasury bonds then create 6% annual inflation to inflate the debt away. It's happened before: for example during WWII, the patriotic urging of Americans to support the War effort by purchasing US Treasury War Bond which as with most Wars was followed by significant inflation which greatly reduced the bonds real returns. @William, you said, "The truly smartest thing the FED and US Treasury could do about the massive US Debt is to sucker as many investors as possible into buying extremely low yielding US Treasury bonds then create 6% annual inflation to inflate the debt away."